FAIRFIELD — It may not always feel like it, but beach season is upon us and that means in addition to sunscreen and bug spray, beach stickers are going to be something you don’t leave home without. Non-residents can purchase a beach sticker for Jennings and Penfield beaches only at a cost of $170. 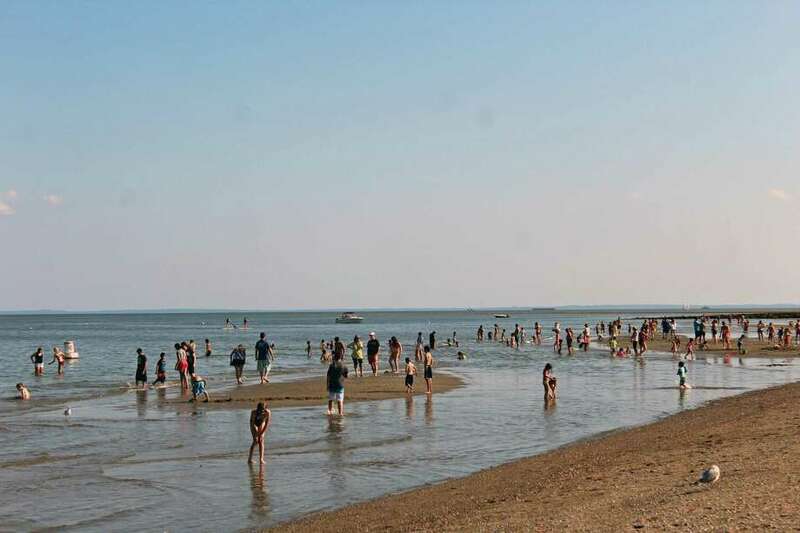 Residents are required to have a beach sticker for entry to all of the town’s beaches and will be charged daily parking fees at Jennings and Penfield if they have not gotten their sticker. The daily fees are $20 on weekdays and $50 on weekends and holidays. Fees are paid at the gate. Lifeguards will be on duty on weekends only from May 26 to June 10 from 11 a.m. to 5 p.m. and will begin regular summer hours on June 16. Lifeguards will be on duty daily from 10 a.m. to 6 p.m. at all beaches except South Pine Creek, which will not have lifeguards this summer. There are no alcoholic beverages or private grills permitted on town beaches. The town will continue a practice it began last year for the Fourth of July fireworks, which will be held on July 2. The number of cars without stickers will be limited to 300 at Jennings and 100 at Penfield. Once the allotted daily passes are sold, only cars will stickers will be allowed in. The annual Memorial Day parade is scheduled for May 28 at 10 a.m., and the theme is commemorating the 50th anniversary of the Tet Offensive. The parade steps off on the Post Road at South Pine Creek, along the Post Road to the library, then south and east along the Old Post Road, passing the Town Hall Green. This year’s speaker is the Rev. Thomas Simisky, president of Fairfield Prep. There is no parking along the parade route, and no traffic will be permitted starting at 9:30 a.m. There is no rain date. There will be a free concert on Memorial Day at Sherman Green at 3 p.m., featuring Silver Steel and sponsored by Saugatuck Sweets and Al’s Angels. Summer also means free concerts at the Sherman Green gazebo, starting June 1 and running through Aug. 25. The entertainment begins at 6:30 p.m. and concerts are held Thursdays, Saturdays, and Sundays. A printable schedule can be found at the Parks & Rec website. The website is also where residents can find information on movie nights at the beach.